5 images. Greek candlelight services, April 29, 1951. 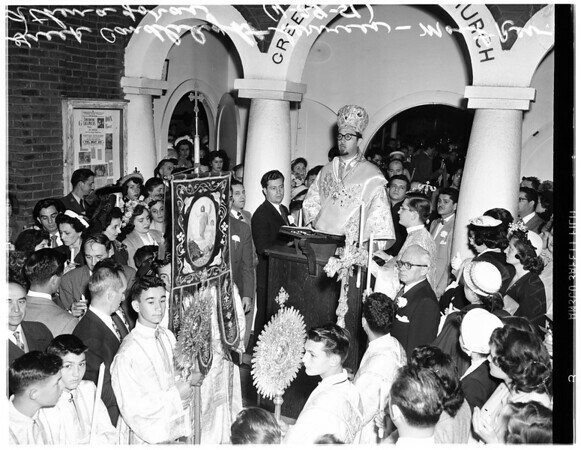 Most Reverend Bishop Athenageras (officiation at Greek Orthodox Church on San Julian Street).